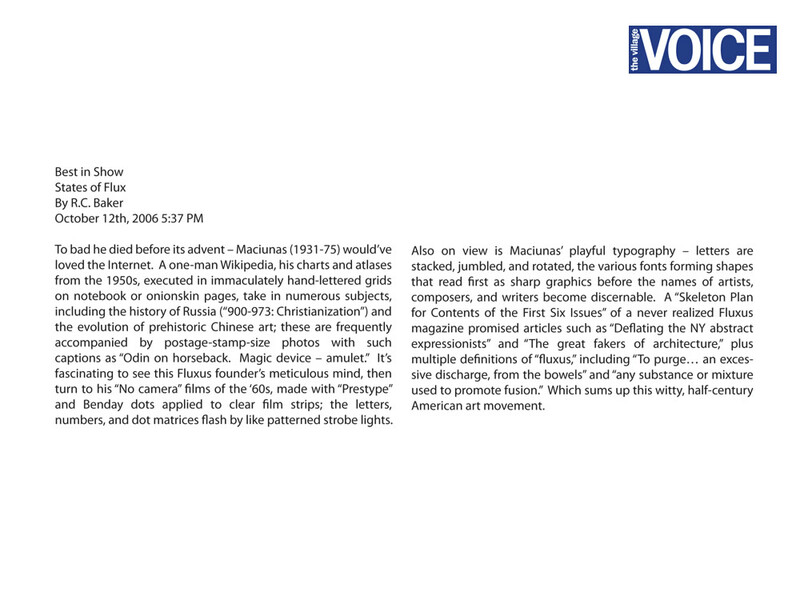 The Village Voice: States of Flux, George Maciunas - George Maciunas Foundation Inc.
*Click on the image to zoom in/zoom out. This entry was posted in 2006-09 George Maciunas:Charts, Diagrams, Films, Documents, and Atlases, Reviews and tagged George Maciunas, Village Voice. Bookmark the permalink. Post a comment or leave a trackback: Trackback URL.